Your Cajun Rollergirls will bring our 2015 season to a close this Saturday, Sept. 26, as we travel to the West Cal Arena in Sulphur to face the Gulf Cost Rollergirls’ Lafitte’s Ladies. It’ll be a rematch from Saturday’s home closer at Big Warren and promises to be a big game! We hope to see you there, CRG Nation. 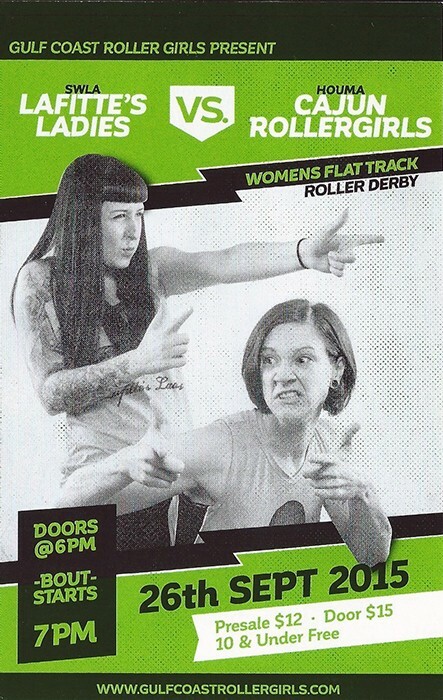 More information on the game can be found at GCRG’s Facebook event page! Cajun Rollergirls close 2015 home slate with victory	Eat at Hooters, Help the Cajun Rollergirls!